Coconut oil is one of the most utilitarian and advantageous substances that you can incorporate into your life! Due to its versatility, coconut oil can be integrated in many of your daily routines in a very health-friendly way. Here are five aspects of your life that can be benefited by it. 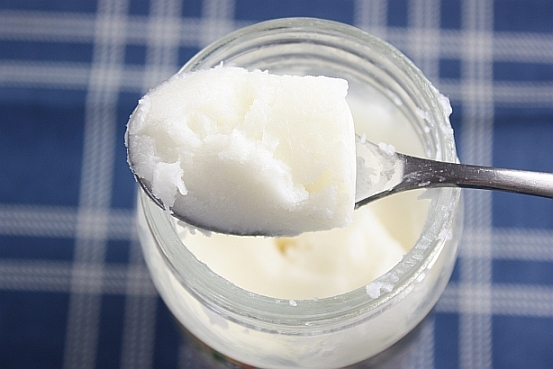 Coconut oil is rich in saturated fats, containing medium chain triglycerides. These fatty acids go directly to the liver and provide immediate energy. Sometimes, I like to add in berries and freeze the oil to make an energizing snack to eat after I exercise. A lot of my friends who have chosen to use more natural ingredients out of concern for their health have also chosen to use it as a replacement for vegetable oil. If you choose to do this too, then you should know that because it can withstand higher temperatures, the components are not entirely broken down by heat when used in cooking. That is why you should be extremely careful not to wash large amounts of it down the drain, as coconut oil will ruin plumbing and clog up your pipes, making you have to call Knights Plumbing & Drain or whoever is your local plumber. The coconut oil will form into a solid, sticking to your pipes and eventually causing costly damages. Just make sure to throw the oil out in the trash and you’ll be okay. If you use coconut oil a lot, then you should keep a can or jar around so that you can discard the oil in there and then throw it out when it gets full. Did you know that by consuming at least a tablespoon of coconut oil a day, that you can improve thyroid function and even lose weight and abdominal fat? Coconut oil is metabolized differently than other fats and is considered to be a thermogenic food, where fat is burned when the oil is consumed. It can also positively affect metabolic and hormone health. To be benefited in this way, I like to include a tablespoon of the stuff in my morning green smoothies. Coconut oil is usually almost tasteless, and so you don’t have to worry about making sure that the flavor goes well with whatever you are putting it in. Not only are you physically benefited by this awesome ingredient, but it can help treat Alzheimer’s. See, our brains produce insulin that helps power our brain cells. However, a person with Alzheimer’s brain no longer has the ability to create that necessary insulin. Yet, there is something in coconut oil called ketones that actually can act as a substitute that can help power those cells. This is why it’s having this ingredient in your daily diet is very important. Not only that, but if you have a relative who suffers with Alzheimer’s it might be a good idea to help them include it in their diet as well. Wood and leather get thirsty too! One trick that I do at least once a year is to use coconut oil to shine leather and polish up wood furniture that is in my home. This helps to ensure that no damage is occurring. In doing so, it helps to prolong the life of the pieces or even leather clothing accessories and keep them looking vibrant. Of course, you don’t want to use too much, and so you should be careful to only apply a dab of the oil onto any fabric or wood. Too much would be just a mess! Start with an amount that is the size of a dime and work from there, adding more little by little. Some of my health-conscience friends are very concerned about the type of products that they use, because they never know what exactly the ingredients are. By using one simple and natural ingredient like coconut oil, they are able to avoid worrying about that. Coconut oil can be used for many things in the beauty world. I personally use it as a makeup remover, but I have a friend who uses it to tame her frizzy hair. Coconut oil doubles as both a heat protectant and a natural replacement for expensive, smoothing hair oil. It can also help a person’s hair grow longer if they are having trouble growing it out. Another way that I have used it is as a suntan lotion when I go to the beach. Coconut oil has an SPF of four and can attract skin's melatonin more rapidly, allowing for a tan in a shorter amount of time. Also read Coconut oil for beauty. One of my good friends even uses coconut oil on her baby whenever he has diaper rashes, because it is so good for the skin! When purposed as a lotion, coconut oil thoroughly moisturizes the skin and can help battle stubborn cellulite. When she was pregnant, she would also rub the oil on her stomach to help prevent stretch marks, and I think it worked! I think that she even uses the stuff as a deodorant and I have heard others using it as a treatment for burns and bruises as well. Coconut oil is an extremely dependable substance that offers numerous benefits and functions. Whether you incorporate it into your beauty routine or your diet, this phenomenal oil can improve several aspects of your life and presents a favorable alternative to processed and unnatural products! Oil pulling with coconut oil has been used as a way to cleanse the mouth of bacteria and help heal periodontal disease.